Robert Englund AKA Freddy Krueger's birthday was today. 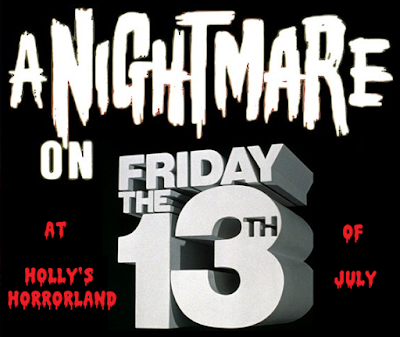 Celebrate him at A Nightmare On Friday The 13th Of July. This blog bash is also to celebrate my birthday, which is July 12th. A Nightmare On Elm Street 2: Freddy's Revenge and I are turning 33. Freddy will get revenge by taking Friday the 13th from Jason Voorhees. Add your blog's name to the guest list at the bottom of this post to join. Then post anything A Nightmare On Elm Street/Freddy related that day. Please link back here and share the picture below too. As always sounds like fun!